YUKA TAKARA was born and raised in Okinawa, Japan. At the age of 5, after being invited to a friend's dance recital, Yuka was "bit by the bug" and began her formal training in classical ballet. Yuka continued to dance and teach ballet in her native Okinawa until she left for college, to Virginia, where she studied as a dance major. In 1998, Yuka moved to New York City to pursue a career in dance, which led her to the world of theatre. Her big break came in the summer of 2000 when she was cast in the pre-Broadway workshop for the revival of "Flower Drum Song." That fall she was cast in the Radio City Christmas Spectacular and the following year would make her Broadway debut as an original cast member in "Mamma Mia!" the hit musical featuring the music of ABBA. In 2002, Yuka left "Mamma Mia!" to join the Broadway cast of "Flower Drum Song" where she understudied Lea Salonga in the lead role of Mei-Li, a role Yuka would take on for the First National Tour to rave reviews. In 2004 Yuka was cast in the Broadway revival of Stephen Sondheim's "Pacific Overtures" directed by celebrated Japanese director Amon Miyamoto. 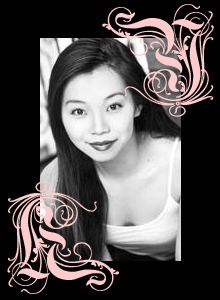 In 2006, she starred as Connie Wong as an original cast member in the current Broadway revival of "A Chorus Line." She was most recently seen on the Broadway stage as Alexi Darling in the Tony winning musical RENT. It was also in 2004 that Yuka would venture into persuing her music career. She had toyed with the idea for quite some time and had been writing songs for years but the project finally came to fruition with the collaboration of friend, fellow actor and musician, Richard Ogawa (who she coincidentally met as a fellow cast member during the New York workshop of "Flower Drum Song.") In early 2005 Yuka was selected as a finalist to perform in a talent search/showcase by YWA Music Inc. and Amedori at the infamous CBGB Lounge. She took the grand prize, performing songs co-written by Yuka, Richard Ogawa and Cristal Snow. Later that year Yuka released her first single in Okinawa, imanara sunaoni nareruyo, which was used locally in a commercial for a wedding hall. In November she performed along side some of Okinawa's most celebrated bands including BEGIN and Mongol 800 in Sound Rainbow, an outdoor charity event celebrating 60 years after the war, proceeds going to tsunami victims and their families. In 2006, Yuka released her first full-length album 'Goin� Home'. In 2007, she was the recipient of an Outstanding Individual Performance award at the 2007 NYMF Awards for Excellence for her role as Gwen Davies in the New York Premiere of The Yellow Wood. IN 2008, her sophmore album 'free to fly' was released in Okinawa and is currently available at the U.S. iTunes store, along with her a capella cover album, 'naked voice'. In 2009, Yuka was seen touring the U.S. and Asia in the Broadway Tour of RENT as well as being featured in the Sony Pictures documentary Every Little Step.